My love affair with pesto almost didn't happen. I was born and raised on "red" spaghetti -- the kind dripping with tomato sauce and overflowing with meatballs and cheese. Every special occasion in my life, in my friends' lives and everyone else I know has red spaghetti as a staple attraction. When I first saw this green monstrosity -- heaps and heaps of oily green gobs, with tiny bits of green leaves looking very much like those shredded tobacco bits in commercial cigarettes, smeared over every strand of otherwise pearly-white, clean and pristine spaghetti pasta -- I was shocked. Where's the meat? Where's the brilliant red sauce tempting me to taste it? It looked like something the cat threw up, to be honest. And the taste? It didn't agree with my taste buds. It was a dark day for pesto. Things changed when I worked in a company that had only 30 minutes allowed lunch break and 15 minutes for afternoon snacks. I had to gobble everything very quickly. Weeks into the job and my stomach is rebelling from all that speed-eating. Until one day they served pesto at the cafeteria. It was delicious, and the olive oil helped the pasta go down smoothly with a minimum of chewing. That pesto spaghetti was a hit in that speed-eating environment. And since then, and until now when I am no longer in that organization, I have loved pesto and my love only grows as the days and the weeks and the years pass. If you break free from the bonds of traditional tomato sauce, the combination of basil, nuts, parmesan cheese and olive oil provides a tasty fusion of flavors that is appealing to the palate. The cheese is the first thing that your tongue will probably appreciate, since cheese of any kind is in all of our comfort zones. The olive oil isn't too bad either, it is very similar in appearance to the common oil we use for cooking. But for health-buffs trying out pesto for the first time, all that oil may make them wary. However, unlike traditional cooking oil, olive oil is actually healthier. The nuts are palate-friendly, too. It's actually the basil that screams at you, and, depending on your taste, can make or break pesto in your mind. For one, basil is a herb -- it smells and tastes strong. Some dislike basil for this, and the fact that it seems to leave a strange, pungent, medicine-like aftertaste. For first-timers, once you get over the pungent and general strangeness of basil, however, you will learn to like it. Like Japanese sushi, it's an acquired taste. The pesto sauce that comes from pounding together basil leaves, pine nuts, and garlic, adding parmesan cheese, olive oil and salt to taste, is a versatile concoction. 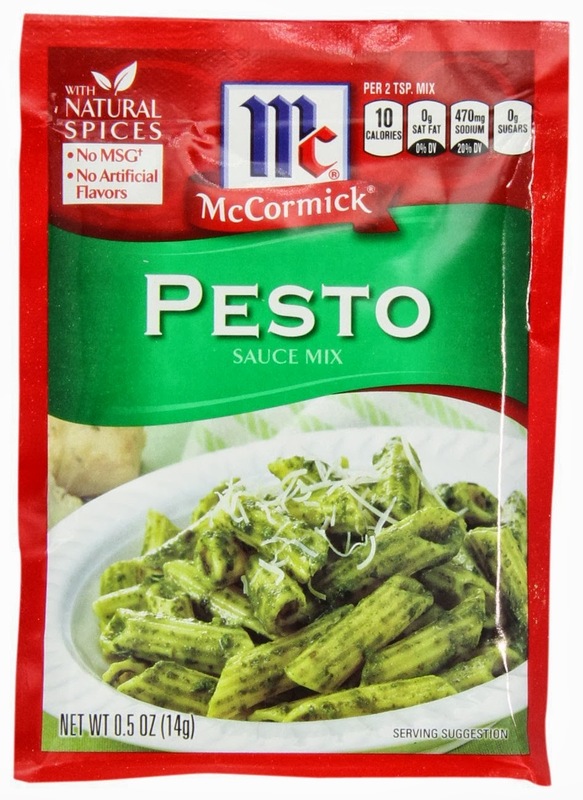 As a pasta sauce, served with baked potatoes or green beans on the side, it is a healthy and filling meal. It can also be used as a sandwich spread, a pizza spread, or as additional ingredient in seafood menus and meat-based products like meatballs and burger patties (yes! even that!) Food Network actually offers 50 things to make with pesto! 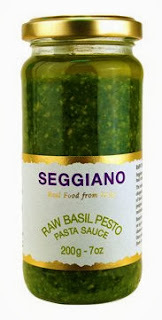 Pesto contains vitamins, minerals, good oils and phytochemicals that are good for the body. Garlic and basil are little rays of sunshine -- packed with vitamins A and C. Also present are potassium and phosphorus, omega-3 acids and a battalion of antioxidants. It's one of the soul foods. For people on the go, a plateful of pesto is a practical, no-fuss and guilt-free few-minutes of indulgence. It is a filling meal that can alleviate hunger immediately. It even has little to no complications with the digestive system. The original way to prepare pesto is by pounding together basil, garlic and pine nuts in a mortar with a pestle. These days, a food processor or a blender can do quick work with crushing the said ingredients. The addition of olive oil will combine the dry ingredients into a smooth paste, and adding salt and pepper to taste completes the mix. 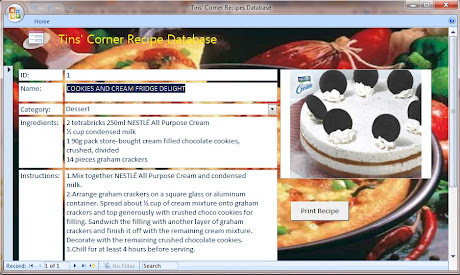 The quantities of the ingredients can vary with your own taste. Normally 2-3 cups of basil is the only baseline to follow. The quantity of garlic is up to you. The amount of pine nuts can be 1/4 cup at a minimum, or more if that's how you like it. Pine nuts are also optional for those people shying away from eating nuts. The olive oil is also up to you. Same with the cheese. Basically you can wing it with pesto and never go wrong with the taste. Pesto sauce can be stored in air-tight containers or bottles, and you can freeze them up to three months. 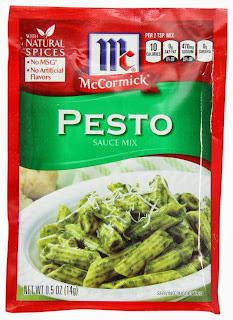 Personally, my favorite easy-to-prepare pesto spaghetti meal is one topped with tuna flakes and liberally sprinkled with parmesan cheese. I substitute grated cheese of any kind when the parmesan runs out. At times, I replace tuna with shrimps or chicken strips, or any leftover in the fridge. Nowadays, whenever I eat out with family and friends, a good pesto meal is also one of my staple go-to no-brainer choice. When I hate to peruse the menu and get torn over so many choices, I just immediately order pesto. 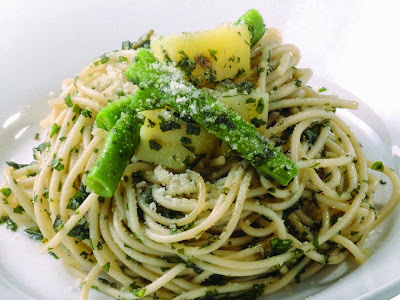 The pesto spaghetti meals served at Joey Pepperoni Pizzeria and The Old Spaghetti House are a couple of my favorites. 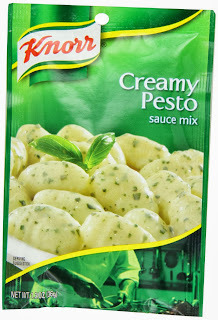 Having said that, I hereby rest my case about pesto. Single is a marital or relationship status. You know, one of the choices that we need to answer in many forms that we fill-up, like credit cards, censuses, job applications, and the like. The only possible answers to the question of marital status are really just "single" or "married". But these days, we tend to complicate this with more options (seeing that the world is not really just black and white, so do "married" or "single" become insufficient). Enter "divorced", stage right. Or "widowed", "cohabiting", or even "unmarried partners". 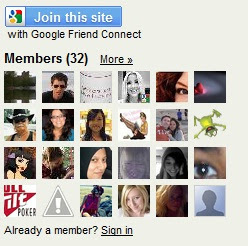 Over at Facebook, there are currently nine(!) marital or relationship statuses, 10 if you count the "--" status which probably means you don't know what state you are in. Facebook is extra-creative: "in a relationship", "engaged", "in an open relationship" and a big-hit with us: "it's complicated." Focusing on single, it's the opposite of being unmarried. It is synonymous to being only one, solitary, alone. Individualized. You can either be a happy single or a miserable one. They say it's a choice of being. We all know that most plants need soil to grow. But did you know that what plants actually need are the nutrients in the soil, not the soil itself, for them to grow? This has been found out by researchers way back in the 18th century. It's the nutrients carried by water that are absorbed by the plants, and soil is just a rich reservoir of these nutrients. This discovery led researchers into thinking that there are more ways to grow plants other than in the soil. The idea gave birth to the concept of hydroponics. 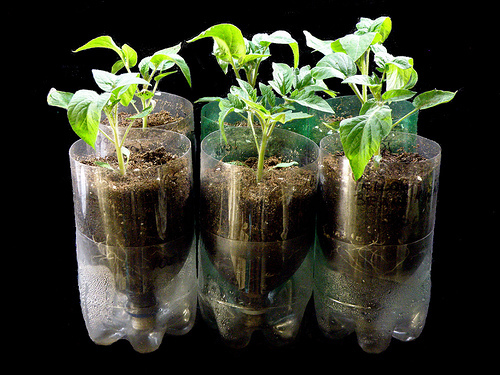 Hydroponics is a method of growing plants without soil. Almost any plant that grows in soil can grow in hydroponic systems. The introduction of hydroponics flung wide open the doors for more opportunities in food production. No soil is needed. Therefore no need for acres of real estate to grow food. Less water is needed. The water in the hydroponic system is reusable. Can be grown in small spaces. Imagine a condo unit with thriving lettuces! Healthier plants, higher yields. 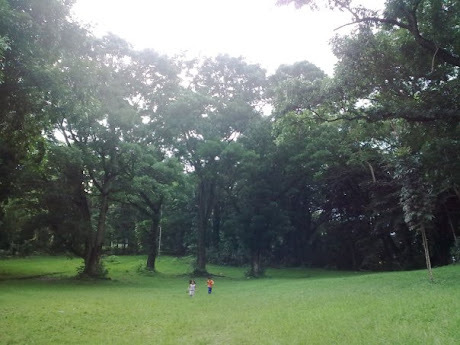 Since the environment is controlled, plants are less prone to pests and diseases. Here are some ways you can start a hydroponic system in your home. 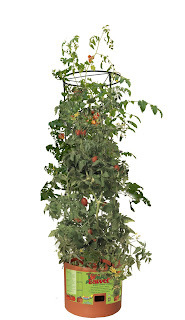 Vertical hydroponic systems solve the problem of space. Using frame towers or hanging baskets, more plants can be grown per square area. 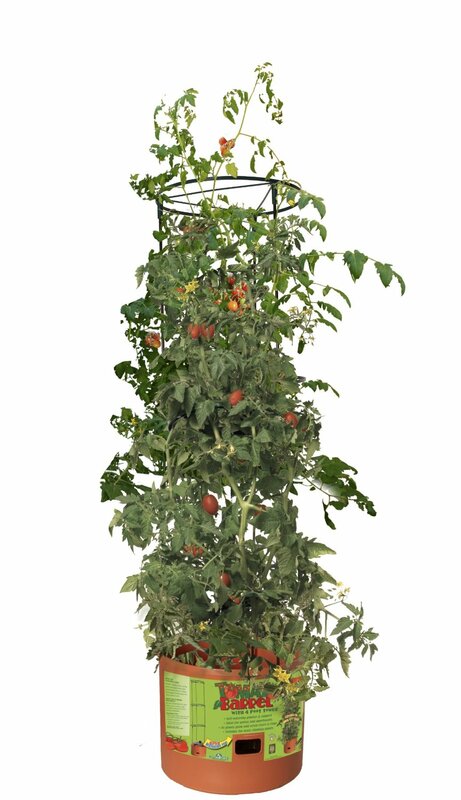 The plants in the vertical hydroponic system look like pillars of green and provide a decorative appeal to any home. One limitation of this system is that the towers can tip over when the plants become overgrown. 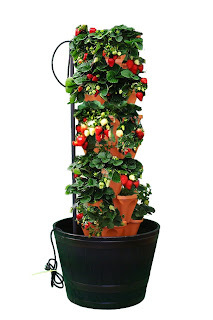 Below are some examples of vertical hydroponic systems. Click on the links for more details about each. An inexpensive type of hydroponic system is the passive system. Nutrients are fed to the plants through a cloth wick that draws water and endlessly flows to the root. A medium of sand and vermiculite anchors the plant. A limitation of this system is that the roots may starve due to lack of oxygen, or become over-exposed to water. 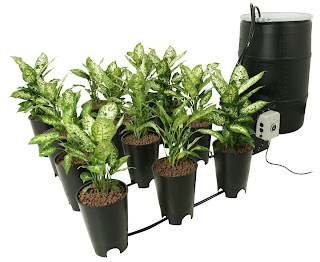 Regular flooding and draining of water to and from plants is called ebb and flow hydroponics. Kind of like the Nile River inundating Egypt's flood plains to make for fertile grounds perfect for planting. The plants grow in a medium of either rock, wool or gravel. There is a time interval for flooding the plants, allowing the roots to dry in between the flooding. 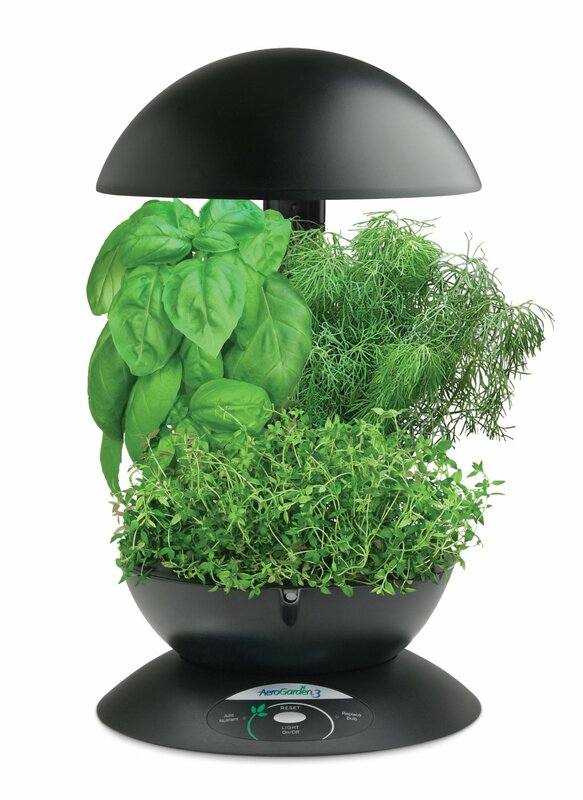 Below is an example of an ebb and flow hydroponic system. 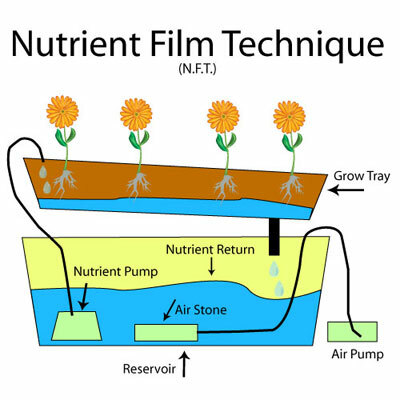 Aeroponic systems allow for nutrient water to drain completely from the roots at certain intervals. There is no medium that anchors the roots. 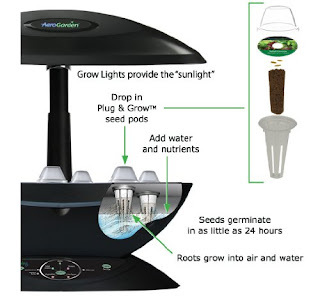 An open aeroponic setup exposes the roots to air and light after draining the water, while an enclosed system provides a container that shields the roots from light, keeping them humid and protected. 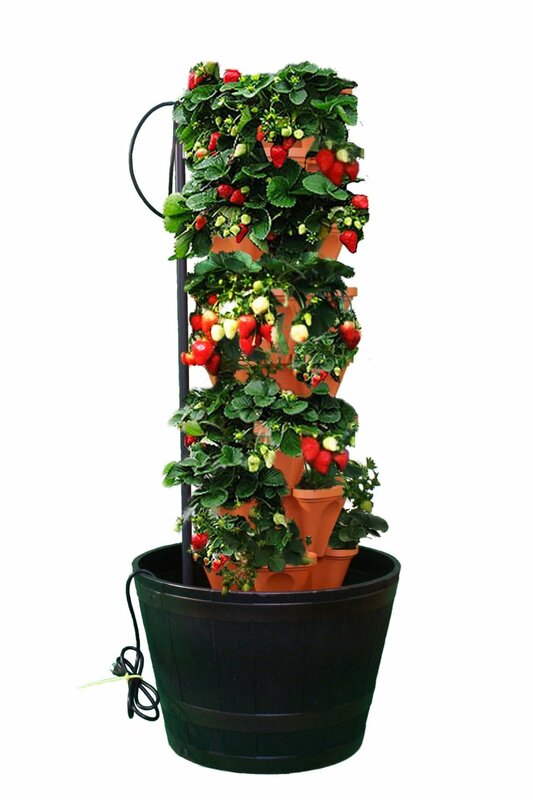 Here is an example of an aeroponic system. 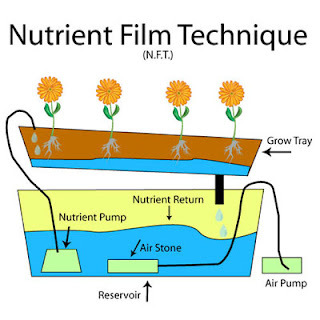 The Nutrient Film Technique (NFT) hydroponic method suspends the plants over a container of nutrient water, while a small pump controls water circulation to keep the plants fed. The roots get much-needed oxygen from the space between the suspended container and the water. 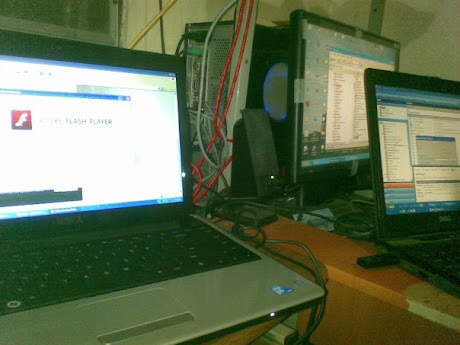 With this type of system, there is minimal work to be done after the initial setup, and the energy cost is small and owed only to the energy needed by the pump to work. So there you have it. You can grow your own food easily and with little expense through the help of hydroponic systems. You can either purchase from stores or build your own hydroponic system. Either way, you are assured of an environment-friendly and space-saving way to create your own garden. We are biological organisms, albeit in a most advanced stage. As such, we are subject to the physical laws of biology. We are born, we grow, we die, and in between birth and death, we live. In the process of living, we encounter conditions in our environment that either hamper or promote our living. We can call these encountered conditions as stress. Whenever conditions change, our body is built to react, and that is where the stress comes from. The way we handle stress can have a significant impact to our mental and physical well-being. 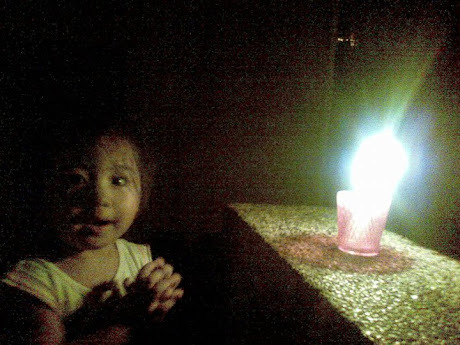 To banish stress, try prayers. There have been several studies that reveal the efficacy of prayers in alleviating health problems. In 2001, Bernardi et al in their study "Effect of rosary prayer and yoga mantras on autonomic cardiovascular rhythms: comparative study," reported that praying the rosary or chanting yoga mantras induced favorable psychological and possibly physiological effects in cardiovascular patients. In 2008, a study by Francis et al, "Prayer and psychological health: A study among sixth-form pupils attending Catholic and Protestant schools in Northern Ireland," revealed that higher levels of prayer were associated with better mental health. Prayer is a form of meditation. 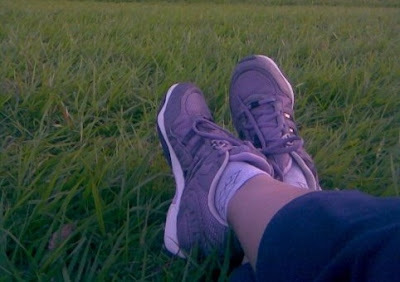 It puts the body in a state of relaxation and rest. 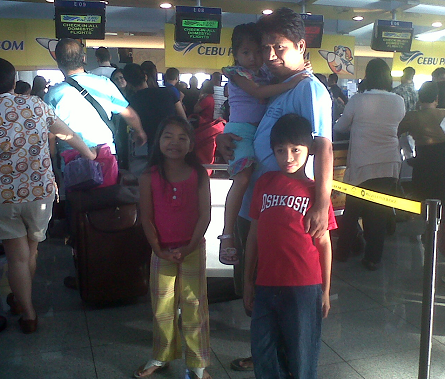 Stress is at once relieved from the body when it is no longer uptight, tense or agitated. Prayer is a form of worship. It puts the body in a state of exultation, joy and happiness. Whatever stress in mind, body and spirit is removed and replaced by a general state of well-being. Prayer is a form of supplication. There is a kind of release in the simple act of confiding your troubles to a personal God. And since the relationship with a personal deity is based in the core belief that God has the power to work miracles, then the act of asking for something through prayer carries with it the confidence or the hope that a solution is forthcoming in the future, banishing worry. Prayer is a form of cleansing. When you ask for forgiveness for wrong acts done, people slighted, negative thoughts, words and actions delivered, prayers restore and refresh the body, mind and spirit. Getting into the regular habit of prayer can work wonders in your life, by removing stress, in such a way that no amount of stress-busting methods like entertainment, sports, shopping or medicine can equal.